We review the Velo-Orange Polyvalent, a 650b all-rounder with modern and retro touches (a quill stem!). I take it on a few rides with and without a front load and give you guys my experience with the bike. 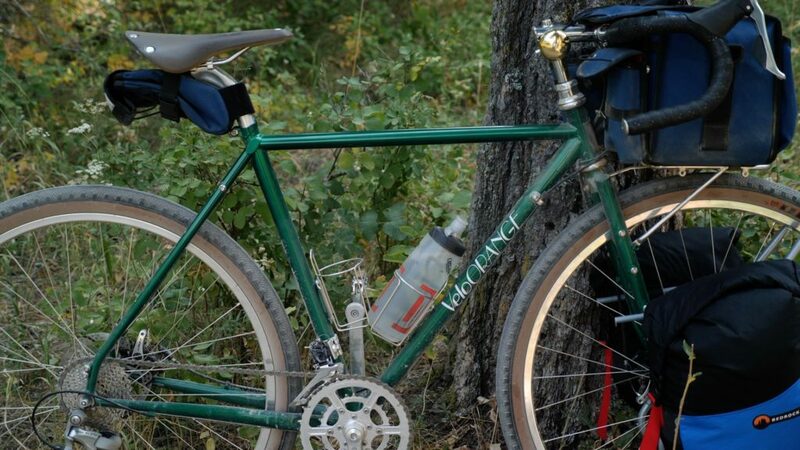 Is it your next rando style bike? Find out! If you appreciate these independent reviews, consider supporting the channel! You asked in your review if others had Velo Orange frames. I happen to have a 47cm Camargue. As a vertically challenged person (62″), it is hard to find bike frames that fit well. I happen to like this frame as I have built it up. I have not seen very many reviews of this frame on the internet. I can run 650b x 42 tires or 26 x 1.9 tires with the BOX linear pull brakes. I have an upright setup with tourist style bars and a porter rack up front. With the porter rack a wheel stabilizer is nice to prevent wheel flop with a load. It is not a light build, but durable and I ride it regularly with a front load. As you have mentioned in many reviews it is hard to find a smaller frame that fits well with good ride characteristics. Wish Velo Orange made the polyvalent in a 47/48 frame size. The standover of the size 51 polyvalent is a no go for me. One thing I have noticed is these frames rarely appear on Ebay used. Where do they go? My other bike is an 80’s Specialized Sequoia with many miles on it. I did a 650b conversion on it 5 or so years ago and have been happy with the results. The tubing on the Sequoia is different and has a more lively ride even though it is older. Guess the Tange tubing used back in the day was special. I have enjoyed watching your gravel bike reviews as they are interesting and I would like to try they more modern drive train setups. Finding an XS frame is a challenge. Marin 4 corners seems like an entry level similar to the Salsa journeyman. Awaiting your review of the “new” Sequoia. I have one of the older canti brake VO Pass Hunters. I really like the handling. It has a mid-trail front end, with less trail than most, but not short trail . I did find it handled better after I swapped my saddlebag for a Topeak Compact bar bag. I’m running 35mm Richey Alpine tires on it, and loving the ride most of the time. It’s playful enough to have fun on the road, but not afraid of gravel. My main dislike is the frame is a bit harsh. I ride a 53cm frame, and I suspect they may have specced the same tubing for all sizes. When I hit a bump too big for the tires to absorb, it’s jarring. Or maybe I need a more compliant bar and stem. I don’t know. the velo Polyvalent has a size of a 51 or a 54. it looks like im in between the two sizes.